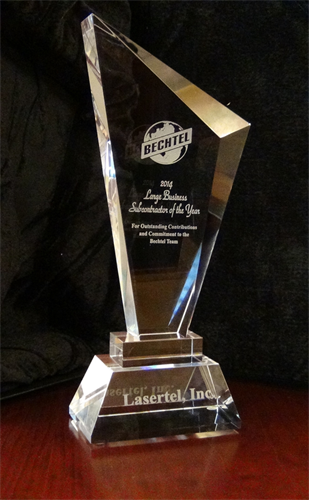 Lasertel, a subsidiary of Selex Galileo Inc., part of the Finmeccanica Group, is a vertically-integrated manufacturer of high-power semiconductor laser components and developer of customer laser solutions. Servicing the defense, medical and industrial industries, we deliver a wide range of chips, bars, array packages and fiber-coupled devices available with peak wavelengths from 770 nm - 1050 nm, and peak powers from 200 mW - 1 MW. We encourage innovation and complement our unequalled product line with an extraordinary level of personal service.